For several Smek Digital clients, they received a significant amount of daily junk faxes that waste paper, ink, and resources. While most people scan and send PDFs, there is still a portion of the business world that uses fax machines. By setting up fax software (Windows has “fax and scan” built in), they were then able to screen faxes and print only those they needed. As another benefit, faxes could automatically be forwarded to email boxes or other fax machines in the business standard PDF format. In case the computer that was hosting the fax software was off, an external line was also run from the computer to a real fax machine as a backup. HP offers a quick and easy fax test. Just send them a test fax and they will fax another back within minutes. When your fax is received by the HP Test Fax Service, we will generate a return fax to you within five minutes confirming that we received your fax. This verifies that you can both send and receive a fax with your fax machine. Although I rarely receive faxes, I use an electronic fax service such as efax.com to have faxes delivered directly in my inbox. 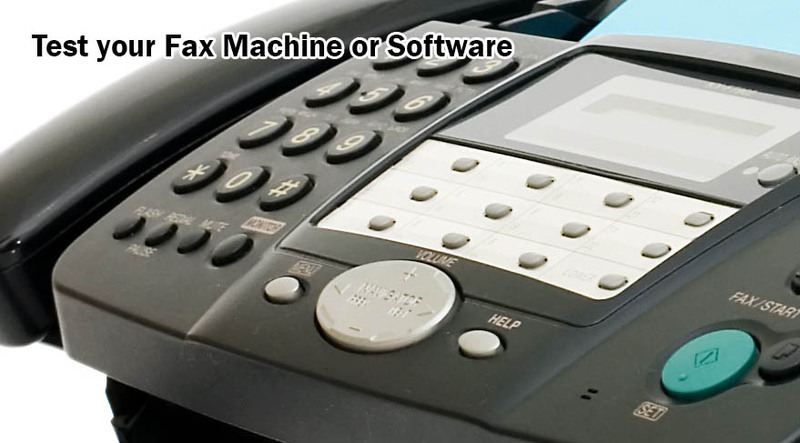 The savings in removing a land line are usually enough to make businesses switch to an online fax service. Check out the following free services to quickly and easily send a PDF or other doc as a fax to your fax machine/line. my fax to email # still works.